I am all for bringing the outside in. whacky things that a designer suggested and the owner actually implemented. These greenery interior walls are just too much. Can you say maintenance nightmare? This is a trend that makes a novel one-time photo opportunity for an edgy magazine. Don’t fall for this one. 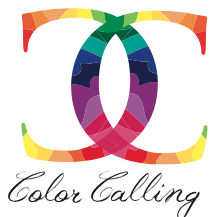 This entry was posted on February 22, 2013 by Ellen at Color Calling. It was filed under Decorating trends . Sadly, the plants are victims. Most will dessicate to death then be tossed into garbage. Not even composted.